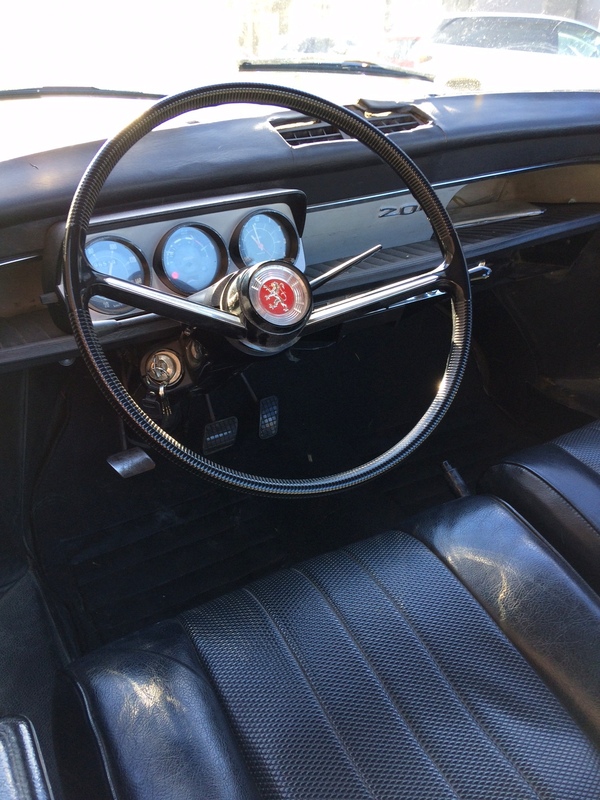 A year ago I wrote that “I am hoping that my plea for more articles on your first encounters with a Peugeot has resulted in Jeanette having a few month’s articles in her armoury. If not please send your contributions to our editor – Jeanette – at jeanette_grant@hotmail.com now. She will still be eagerly awaiting them.” Frankly I have seen few, and would love some of you to add to this series. Please consider the request and add to what has been an enjoyable but disjointed series. After writing last month’s 5008 review, I then got curious about the Lexus marque and its release. As a result of that I now realise that when I reflected at the end I was reflecting through rose-tinted glasses. Not about either vehicle but about my own age, I wrote “I examined it as much as a teenage boy can from the outside.” Unfortunately for me I have since done the maths, I must have been 20; in my mind I was 17 to 19 years old. Age unfortunately plays havoc with the memory at times! Last month, again I have been travelling a lot, and spent a week in Paengaroa again. I am glad to say that the cuisine at The Trading Post is till up to standard and beyond. Best Pizza I have ever had – definitely a cut above the rest and the seafood broth also passed all taste buds expectations. Unfortunately it was so good that the tastebuds were still expecting it well after I had finished! Lesley – the waitress there also makes a very good Gin, Lime and Lemonade. If you are spending time in the Bay of Plenty and want a location for dinner and a location change for a night I can definitely recommend driving out to Paengaroa. Make sure you book first, especially over summer, as they are often booked out on weekends. Whilst staying in Paengaroa I have been subcontracted to another archaeologist, and we have been working on a number of farms on behalf of a variety of clients. All of them have been in the process of what appears to be the current Labour-led government policy of decreasing the bovine population of New Zealand. All have been relatively recent purchases, by three different kiwifruit orchard companies, of dairy farms, and all are looking to significantly earthwork the land flat or into gentle straight slopes to develop Kiwifruit Orchards (all of them Gold rather than Green fruit I believe). Some of these locations are a number of kms inland on steep and high hills. I have found it incredible just how far away from the sea – think tens of kms – that sea views are available – and yet none of these views are available from the roads. From some of these locations, as well as from driving down the local roads, a new appreciation can be gained of just how much of the Bay of Plenty is already covered in kiwifruit orchards. The traditional citrus, avocados and dairy farms appear to be disappearing at an increasing rate as the kiwifruit industry expands. Kiwifruit is often more intensive than dairy will ever be and requires more labour most of the year. I imagine that we will find that employment opportunities, increased need for housing, eateries and support industries will continue to grow and the Bay of Plenty economy will continue to boom in years to come. Assuming that there isn’t a collapse in the industry caused by food fashion changing or some disease. We have all being suffering recently from the rapid rise in fuel prices. Of interest to me was that I travelled through Morrinsville during my week away in the B.O.P., filled up on both the Monday and Friday. On the Monday the BP and Caltex were 3 cents a litre more expensive than the Gull. Come Friday the Caltex was still 3 cents more expensive than the Gull; the BP however was 16c more than the Gull. Morrinsville gets a lot of through traffic between Hamilton and the B.O.P., and granted that as the Gull is situated on a lesser used route towards Auckland and the Coromandel Peninsula, it is therefore not in the sight of a the majority of travellers and possibly some of the locals as well. I can see why the BP doesn’t need to compete directly with it, but one does have to question how the BP can expect to continue when it is close to opposite the Caltex on the main drag! It often appears to me that BP is a price leader when it comes to raising the prices of fuel. That combined with recent media revelations about them trying to hike prices in the general Horowhenua region recently makes me question how much longer do they expect to last in the New Zealand market? Especially when it appears we will soon see a dominance of Electric Vehicles in the new car market, and presumably the New Zealand vehicle fleet overall. Jeanette has given me limited space this time, and I am glad of it. Work pressures are on and they have me stretched, both for time and across physical locations. I have had jobs on in coastal Bay of Plenty, the Coromandel Peninsula, Long Bay, Inland Bay of Plenty, just over the regional body lines and into the Waikato just south of Waiuku; plus have a couple of jobs on the run in the Domain; just picked one up on Waiheke and work took me on a jaunt to the centre of the universe, Dargaville as well. As a tip if you are travelling Dargaville way, based on the Diesel prices alone it is well worth filling up elsewhere, with the prices being about 13c a litre more expensive than those I am typically paying around Epsom, – and then nearby in the scheme of it, prices were cheaper than Epsom in Maungaturoto. How they can be cheaper there than Dargaville I don’t really understand. I have also found prices are cheaper in Morrinsville, Waharoa, Glenbrook and at the Caltex opposite Pukekohe Golf Course. Heaven forbid do not try to purchase in inner-city Auckland; prices go up again. Albany on the other hand is cheaper and has some competition. We have one event coming up next month, and then will be waiting on Citroen to organise the Bastille Day Dinner in July. All their latest magazine had was the date – Sunday 15 July. Come along to our own mid-winter pot luck dinner on June 23 – details in the Coming Events chart. Also if you are in the market for extending your Peugeot range and numbers, Sven has had a number of his vehicles on the market; look them up on Trademe, search ‘Peugeot’ and then ‘select’ to order them ‘oldest first’, you will see a fine selection of 403, 404s and 505 from him as well as a couple from other vendors, including Sven’s previous Show and Shine winning 404 ute. 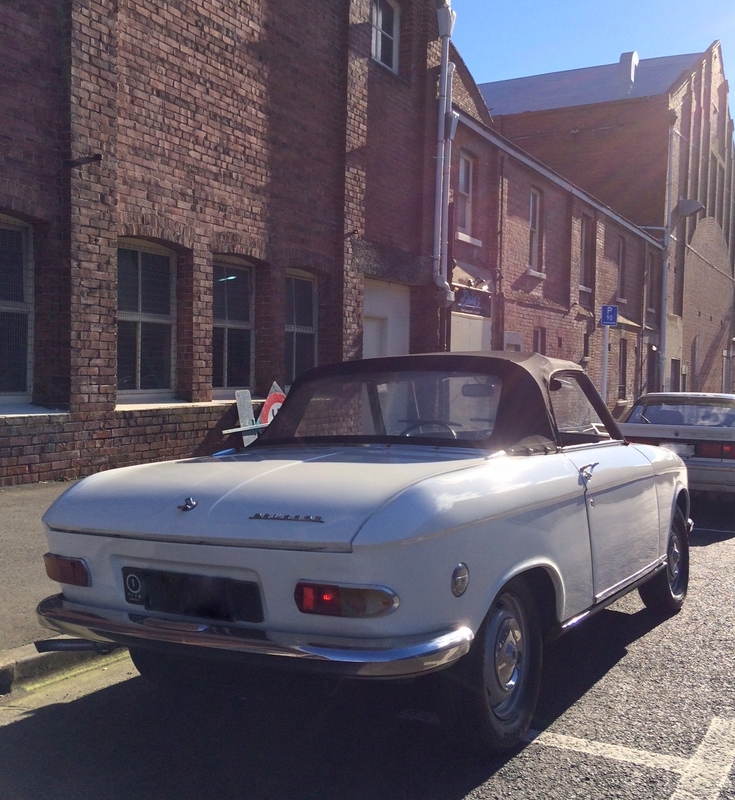 I know if I had spare garaging and/or the cash I would be buying what can only be the best classic Peugeots in New Zealand. I would like to start this Ramble by acknowledging Auto Distributors New Zealand (The Peugeot Distributor) for allowing us access to their press cars to drive and review. Arek Zywot recently allowed me the privilege of driving a 5008GT for a slightly extended weekend period. I had never driven a car with so many electronic controls before, the newest cars I have regularly driven in recent years coming from the beginning of this decade, let alone my regular daily drive in the form of my 1988 505. My what a change, the dash board nearly unrecognisable to me. H 13owever you will have to wait for the review next month, this issue not having the space for it with the recent events we have held and reports associated with them, though maybe the editor may place a sneak preview photograph? Another acknowledgement must be made to Richard Pretious of Armstrong Motor Group who has offered our members a 20% off parts and labour in their workshop at their dealership in Greenlane. Don and I had a very productive meeting with Richard, you can expect to hear more in the future. Now here is a warning, especially to those that are regular attendees and travel afar to help give us a quorum. The AGM will not be held in July this year, which is our usual custom, but in August which is also allowed within our constitution, this is largely due to the fact that our Auditor has some other commitments this year and could not guarantee the time to audit our accounts, it would also put unfair pressure on our treasurer to produce them almost immediately after the June 30 year end, therefore to ensure all is achieved and correct a delay is necessary. The exact date is yet to be determined, as is the time. It is likely to be a few days either side of August 18, including the possibility of being held on a weekday or weekend night. If you haven’t had an email about this prior to reading this Ramble, expect one soon. I had the opportunity to drop into Muzzas Pies in Mt Albert recently, this pie shop is always a hit and miss affair, often having the greatest variety of flavours, but you can never be sure if the pastry has been in the pie warmer too long. It is my experience even if it has the flavours of the filling it makes the risk worth it. This time I had the overcooked pastry again, but the filling, well it was divine, beautifully cooked lean steak, just fell apart, with a plum sauce and blue cheese. The sauce complemented and enhanced the steak flavours and the cheese was delicate in flavour, just with the right amount of sting without overpowering the fruitiness of the plum. If you knew the pastry was going to be good it would be a winner every time, however when it is not, well it is good enough. I have again been working in the Bay of Plenty, and will be returning again for the two weeks post Easter, this has given me the opportunity to legally drive at 110 on the Expressway there, one of two roads in NZ where this is allowed. I can say it was very smooth and on this road it seems logical, though I noticed at 110 there were a couple whom still wanted (and succeeded) to pass me. Well that is it, I hope to see you at the club afternoon (not a club night) that I believe is to be hosted by the Lowes in May, please turn up to this and make it a success. February 2018 did not go as one might plan it, at least not for the Club, cauliflower growers (have you seen their current prices?) nor for those in some very damaged and wet parts of the country. This weather and other events altered our timetable, as well as made those hearty and strong souls that attended the Concours at Ellerslie very wet. As I write the Gymkhana is coming up, but will be over once this is published. March 20 The first Club night of the year, this will be the first night of us trialling a location where we can eat, drink and natter, come and find out who has done what over the summer. This is being held at Doolan Brothers pub at 3 Robert Street – The quiz starts at 7.30. so aim to get there and form a team just after 7. Looks like I will make this one, love trivia nights so I hope there are a few to join in a team with or against me. Look on their website to see what meals they offer, there is a full menu displayed there. Personally I have enjoyed the rain after the dry months – don’t ask about my January water bill, the garden survived – well almost, lost one plant to the drought, I think a record success, normally lose 3 or 4. Since the rain it has been all grow, especially the grass. I noticed this when I did a job at Te Kanae on the South Head of the Kaipara mid last month. It is a location I have worked in and around a number of times on and off for the last 20 years now, never seen it so green and lush in February before. Other than that I have very little else to say, except a second Peugeot has joined our fleet, a 2009 308. I find it incredible that its little 1600 engine puts out 5 horsepower more than my old V6 505, granted with the help of a turbo. And then manages it with such fuel economy, still it’s not a 505 is it!! Don’t expect me to change too quickly too soon. Then again if you have been a Trademe watcher what a delectable bunch of 404s have been advertised recently, my favourite being one with a 505 diesel engine and 5 speed gear box with beautiful leather upholstery added from a 605. Enough to tempt any 505 owner. Well I have had a lovely break and I hope you have as well. Those of you with the right contacts or incessant urges to follow Peugeot sales on Trademe will note that quite a bit has been going on with wheelings and dealings of Peugeots. Nick Watson has picked up a very nice 404 ute from Tony Haycock, Sven sold his immaculate 404 ute – I don’t know where to, hopefully a member of either our club or Wellington, and even more surprisingly – to me at least – Sven has most, maybe all of his vast collection up for sale – though I understand he isn’t selling all of it, but all are up for negotiation, so if you want to own a 404, 403, a 504 coupe or 404 coupe or cabriolet he is the man to contact. If you don’t know how most of the committee do, contact us and we will point you in the right direction. Please enter these dates in your diaries and attend or assist with as many as you can. February 11 Ellerslie Concours – I believe John and Xerxes are still looking for people to display with them – this is a wonderful day out and gets you a free ticket to see many fine automobiles on display at Ellerslie Racecourse. February 18 Gymkhana at the end of Cato-Peart Road, Karaka at 1pm. Please try and attend this, it goes towards interclub points with Citroen, after the Navigation Round we are behind them, a good attendance would be more than helpful. You don’t have to compete. Just attending earns club points. February 20 The first Club night of the year, CANCELLED and POSTPONED TO MARCH 20. February 24 – French Car Day in Milford, I understand John Cooney is still looking for a car or two to be displayed there – any volunteers from the North Shore or someone looking to do something different that day? March 4 Brit Euro Day in Pakuranga – contact Don Howarth to help organise a display – I am still waiting to find out if I am available or not at this stage, what I can tell you is that I attended last year; best most relaxed car show I have been to. Highly recommended for a day out. I truly hope to make it and remember your car does not have to be pristine, many displayed by a number of clubs were well less than showroom. I have not ventured out of Auckland much this holiday period, and when I have it has been to the Coromandel Peninsula, having had a couple of nights in a tent in Whiritoa to see in the New Year. I slept well, others in nearby tents may not have, apparently my snoring (do I snore – never heard it myself) and thin tent walls aren’t a good mix. Got back in Auckland to get the storm where it didn’t hit too badly, though there were a few branches down and a lot of foliage present on the streets in my neighbourhood. Others got hit harder; a few days later I saw Nick Watson doing a fine job in Thames as part of the Civil Defence clean up (modern Toyota Ute rather than his 404). Give him and his even finer volunteers and others in the community a big thank you when you can, especially the lifesavers whom I understand are working “overtime” in their voluntary positions all over the country during our current heatwave. OK, this should be another short ramble as I am very busy with other commitments this month, some of them being club related, some work and some just life. Last month I hinted that we would do an economy run for the upcoming Fish and Chip run to Kaiaua. Well it has been confirmed, though not to the traditional high standards that some of you (at least one of you anyway – Don Hadfield) once partook in during competitive trials. Instead we are going to have you record your fuel consumption and the distance you travelled, then compare your results to what the manufacturer has as their figures. Therefore if for some reason your Peugeot isn’t available on the day it doesn’t matter. Any vehicle will do as long as we can track down the manufacturers figures. b) Year, make and model of vehicle including any sub-model info such as whether it is a GR, GTI or whatever. Everyone will drive a different distance, the idea behind it that you don’t have to travel those extra miles home via a common point, return at your leisure and make a day of it, return home to the Waikato without having to come back to Auckland, go home to Howick without having to meet in Papakura on the way home or whatever is applicable. Hopefully you will have driven smoothly and given Don Hadfield a run for his money. Other than that, Happy Birthday to John Grant who has just turned 20 for the 4th time (plus another 2 again for luck)! 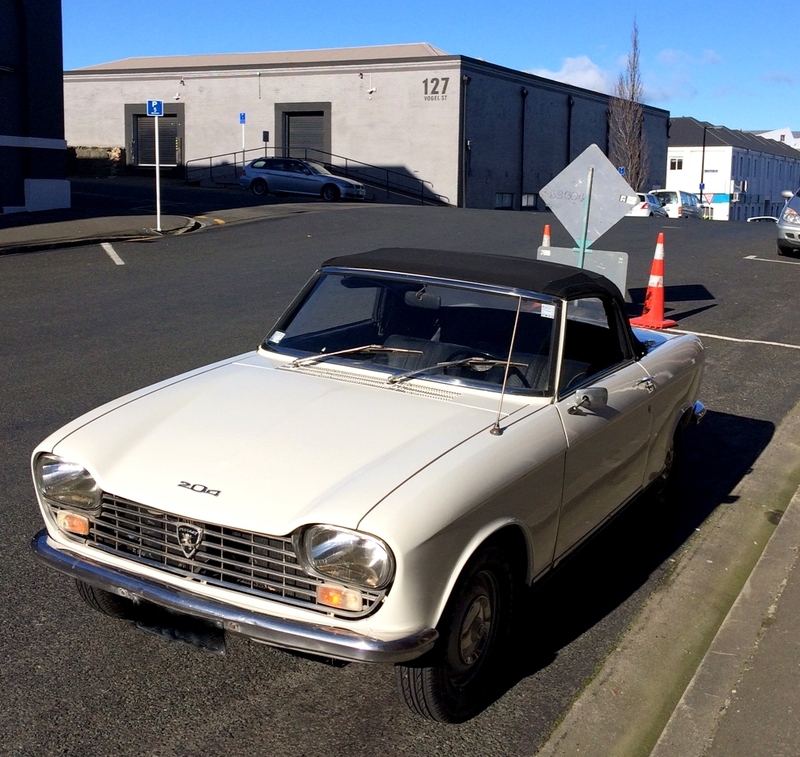 This 1967 Peugeot 204 Cabriolet offered for sale is probably the only road legal example of a 204 soft top in New Zealand and one of only half a dozen Peugeot 204s with live registration plates. Its white paint exterior and black interior is paired with the old black plates. Is in very good original condition and is mechanically sound, with a four speed manual transmission and factory wheels and is a left hand drive. This time last year we had a relatively dry winter; not this one. I don’t know how your grounds are, but mine are sodden, and we live on well draining volcanic soils. Between the rain and I suspect less sunshine, the first of our daffodils were about three weeks late coming out. However moaning, talking or anything else about the weather, no matter how much of a tradition in being an icebreaker in conversation, is not what this ramble is going to be about. We are rapidly approaching the Bastille Day lunch (after I have written this – prior to you reading it), I look forward to having seen some of you there, we are due to be presented the Tricoleur Trophy for the first time in my presidency, which now is some 7 years in the making, that we will have held it. How many of us even remember what it looks like?!? More importantly we have the AGM coming up almost immediately after the Bastille Day luncheon, we will make a point of bringing the Tricoleur Trophy to the AGM so that you can view it and refresh your memories on what it looks like! More importantly it is fair to say that some in the committee are getting a bit long in the tooth, grey in the hair and slow off the starting line, at least compared to their youthful selves. The committee could do with some new blood in it, even if to do not much more than turn up and give us some new ideas or food for thought during the almost monthly meetings (we take January off). Even used blood would be good, by that I mean it doesn’t have to be too youthful, it is not a high stress job to be in the committee of this club, except maybe for the secretary. a)	Without numbers at the AGM the club ceases to exist, so be present to support the club. b)	With the exception of Soo Land and Steve Cornwall (who resides up North) I believe (I haven’t checked) if you look at the attendance record for events over the last year that the top attendees will be the committee members before any other individual is recorded on that list. We as a committee like to think we are working for more than our own self-gratification in organising events we want to attend. Let us see a sign of support for the job we do by coming to the AGM. c)	A major part of the club is and should be relationships with those who support us. Please come and support SOUTHERN AUTOS who have kindly offered part of their premises for our purposes, i.e. the AGM. Whilst you are there have a look at what Peugeots they have to offer. So when is the AGM? Over the last month I have had a couple of Rambles in this wonderful country of ours. The first of which was the shed visit to Te Aroha kindly organised by Citroen (the other club). I went to this with John Grant and my youngest daughter Jessica. Originally it was going to be just her and I and I had told here how we would be able to travel with windows down and sunroof open, weather permitting, we both enjoy the open air experience. However things changed. We gained John and the rules of engagement were modified. 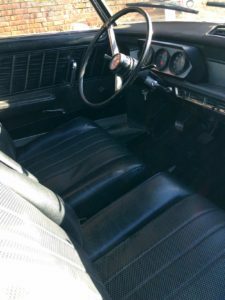 As Jessica was going to lose the front seat, the windows would likely be higher up, if not up and the sunroof closed, I was told in no uncertain terms that the car radio was to be on her station. John was duly told this condition of his stewardship of the passenger seat when we picked him up and off the three of us went with ZM providing the soundtrack, a radio station I suspect John’s ears rarely if ever have to process, but one that I am finding I am increasingly exposed to. The day was sunny and beautiful in Auckland, however we met a wall of fog at the top of the Bombay Hills; a very thick wall where seeing more than 50m in any direction was exceptionally good vision at times. We followed State Highway 1 to Ohinewai and took the road to Tahuna. Just after passing Te Hoe the fog disappeared, again as a wall, there was no thinning out. We passed a farm house in fog, then some 50ish metres down the road the next was in brilliant sunshine. Neighbours whom would have had totally different experiences of the day, yet so close together! Jessica couldn’t wait to get to Te Aroha and requested somewhere to stop to get a bite. On the route we were taking, short of stopping at a stranger’s door and asking for food, options were few – well only one option actually, and that was the G.A.S. station in Tahuna. I stopped there to get her a pie with every intention to not do the same for me. They stocked the Oxford brand of pies, which I have seen a number of times in various petrol stations, supermarkets and the like when travelling through the Waikato and neighbouring regions. I had always thought they must be a business from Tirau, simply because the colonial ancestors some of us have, once named Tirau, Oxford (to nicely match Cambridge a little further north up State Highway 1), hence you get a few businesses and landmarks there such as the Oxford Buildings (1922), the Oxford Gallery, the Oxford Cafe and others. The name was changed in 1896 to Tirau – which is a Maori name referring to it being a place of many Cabbage Trees – hence you also get businesses there such as the Cabbage Tree Cafe and the fine corrugated steel artwork outside Tirau Primary School of cabbage trees. However I have digressed, or should I say rambled, off topic. A little research, i.e. the Oxford Pies website has revealed it is actually a Hamilton based business that began in 1977 in Oxford Street, hence the name. It is no longer in Oxford Street but the name remains the same. Anyway I purchased for Jessica a mince and cheese pie, which she thoroughly loved, and no wonder as I have now found out that they frequently have been medal winners since 2008 in the wholesale/commercial bakery division of the pie awards – though only with that flavour. I however, despite best intentions, could not resist buying a pie for myself – I know – you are all gasping in surprise as you read this. In my defence it was a flavour I had never seen before -‘Magic Meatballs’, so purely for scientific reasons I felt compelled to purchase one and here are the very non-independent tasting results – they nailed it in flavour, but could have had a couple more meatballs. The sauce was straight out of Italy, exactly what you would expect with a top spaghetti and meatball dish. After carrying on we got to Te Aroha, where we saw a few more of our members (as well as those of the other club) and an excellent collection of automobiles. Frankly it was one of the strangest collections of cars I have seen, and I say this in an admiring way, they had vehicles sourced from the USA, Japan, the U.K., Italy and France. They ranged in age from a 1936 Packard through to a 2010 Nissan 370Z. It is so unusual to come across a collection of vehicles that does not come under a theme, whether it be micro cars, country of origin, a specific brand or cars of a limited time period, yet this collection worked. From the small to average right through to the very large automobile. It was a wonderful collection that I think catered for all the automobile enthusiasts. Other Rambles I have had include a rapid weekend away with my father, Tom, to watch the Lions vs All Blacks game at the Cake Tin (Westpac Stadium) in Wellington. I was fortunate enough to win tickets for us through a promotion in the New Zealand Herald in association with Jockey underwear. We chose to drive to the game, the main motivating factor being since we had won these tickets we wanted to make sure of making the game, especially with the amount of fogged in flights cancelled mornings there have been in both Auckland and Wellington over the last month. Another factor is that we are both road trip type of people – appropriate for car club members really – which was then sweetened by the fact it was cheaper to pay for fuel etc than for the both of us to fly. Naturally I also had an ulterior motive, that being that Kihikihi is on the route between Auckland and Wellington and therefore we would just have to stop at Viands bakery for a bite, but I will get back to that later. Tom and I have been attending Eden Park together since I was 5 months old, we have also been to Pukekohe, Onewa Domain, Albany, Hamilton and Whangarei for games, some for the National team, others for The Blues and others still to support Auckland. We have both been to Wellington and the Cake Tin before, but never together, Tom going with my mother to the Wellington Sevens, whereas I had been for a Wellington Phoenix football game with my sister, my family and the in-laws. With all the years that I have attended large sporting events I had never been to a game with an atmosphere like it. In part it had to do with what the Lions fans bought with them, but it wasn’t all of it. I think the design of the stadium is simply brilliant for a more or less full crowd (the crowd was far from full when I attended the Phoenix game). I am guessing about 50% to 67% of the crowd has a tin roof over their heads, higher percentage than I imagine is available at any other stadium in New Zealand including the Forsyth Bar Stadium in Dunedin, which will have something other than tin above. Nothing amplifies like a tin roof, the crowd atmosphere was electric; simply has to be experienced to believe it. Then last night I went to Eden Park for the final test, again unbelievable! The loudest I have ever had it there, louder than Wellington, I suspect however that was simply because both teams and both lots of supporters were putting it all on the line. I am sure that if it had been in Wellington it would have been something else again. Now for the promised pie review, we left Auckland at 6.30 am, carefully planned to arrive in Kihikihi for breakfast. Now I haven’t been for breakfast before and somehow my normal pie choice of braised oxtail in red wine followed by a fruit pie to chase it down just didn’t seem right at 8.15 in the morning. I needed a breakfast pie. And I am pleased to report that the Viands Bakery creamy mushroom and bacon pie hit the spot perfectly, accompanied by a mochaccino to get that delicate coffee with chocolate flavour. Never, whether in a pie or as an accompaniment to a main dish in a restaurant have I tasted such beautifully creamed mushrooms, which in turn complimented the bacon exquisitely. I also purchased one of the famed dessert pies, which however travelled to Whanganui before it was consumed. I was one happy camper. On the return trip we had a couple of things to do, including inspecting a property for an out of towner who was getting it renovated, so it was 9am before we left Wellington, without breakfast. Tom suggested we stop in Foxton and check out a stop he had used a few times in the 1980s when he had some deliveries to do for his work between Auckland and Wellington. I went with him on one of these trips in 1983, it was the first time I had been to Wellington, my parents were letting me have a couple of days off school and I had been looking forward to experiencing the wind, it was to be a real highlight. However it wasn’t to be. Wellington put on a still lifeless wind day for my first visit. The power of the wind however still made a huge impression as it was the first time that I recollect ever seeing so many trees all bent and wrapped the same way whilst there was no wind. I also remember clearly parts of the trip, the route that SH1 used to take near Taupo, enjoying Dad’s company and that we stopped at a diner and I was allowed a milkshake. I couldn’t have told you where it was other than north of Wellington but this must have been it. Dad reckons it was the spot he always stopped. I don’t know if it is trading under the same name now as it was then, I suspect it isn’t. It is nothing flash to look at, but boy am I glad we stopped for breakfast there. It was more a late breakfast/early lunch experience, somewhere around 11am, so I was more than ready for food. The diner is now called Sam’s Bakery and Cafe, it is on the left hand side of the main road as you drive south through Foxton, big carpark for the size of the building which is painted in a hue of bright red. Anyway to get to the guts of the matter, I ordered a Lamb and Kumara pie, I have to say that although there wasn’t enough Kumara in it, I can say without a doubt in my mind it was the best gravy I had ever tasted in a less than $5 pie. Rich, dark and handsome, complimented the lamb magnificently. See you at the AGM. I’m on the lookout for a Peugeot 404 sedan, 1962 or later, manual. Preferably white with red upholstery, but others considered. We are getting to the business end of the month, Gymkhana with Citroen and events with Wellington. Again I will just leave in from other months bits relevant to those events; other events in the meantime have come and gone. Put it in your calendar now! March 24 to 26, 2017. Behind the committees back Nick and I have been scheming about events, it looks probable (but all subject to change) that there will be a show and shine, a navigation trial and a gymkhana. I have already checked, Jessica wants to come away with me (but is now having second thoughts) and defend our Navigation title. I dare not disappoint. So far under my presidency we have not lost the interclub trophy to Wellington, but it hasn’t always been that way. Do come along and join. In the meantime almost unusually I have few thoughts and inspiration on how to carry this Ramble on. All I can come up with is that a small group of us turned up to the club night, I was stuffed after a 12 hour day out in the sun and recall little of it except a couple of cups of coffee, and that Martin bought some lovely mince tarts that we shared. Other than that I recollect that we arranged ourselves in a circle and talked a lot, what about I have no idea, except that John Cooney’s lovely 406 coupe had been reversed into by a rather large Mazda 4wd in Milford; but I am sure that wasn’t everything, maybe someone else will write about it in this magazine edition. Yesterday (as I write this) Don and I, with the assistance of Wynne displayed cars at the British and European Car Show, and were also joined by Peter Hagglund for quite some time – though not with a car. Peter showed us some very interesting photos of his 206 engine, in various states of being pulled apart. They were great photos of an engine that has been pulled apart and cleaned very well indeed. It was a wonderful day, it is a car show with a unique feel too it. There is no entry fee and people can wander between the cars, trees, a few food stands at their leisure. I have never previously seen so many Jaguars, MGs, Vauxhalls or Mercedes in one location before. Other makes were also well represented, and some (Lancia and Fiat for example) were notable for their absence. Some were present but had fewer than our three on display! We had a number of people look at our cars, I noticed they seemed to be attracted to my 505 V6 and Don’s 406 Coupe more so than the red 306 Cabriolet. An occasional person stopped and made enquiries with us, others were content with calling over family members and saying I used to have one of those (rather than engaging with us). On the way home I was stopped at lights next to an MGA driver that had also attended, and we had a brief natter. He commented that he thought it was a better show than the Ellerslie Concours, and although I didn’t go this year, I think when I look back at the ones I have been to, I might just agree with him. It was also good to catch up with some of our friends at Citroen, they had I’m guessing about a dozen vehicles present. It would be good if we could have more next year. This was truly a relaxed gentle and pleasing day out. Those of you who know me, know my car is far from perfect, though I did spend a few hours cleaning it the day before – the car just about fell apart at the shock of it – and mine wasn’t the only car that was less than pristine. In fact I suspect that the other club’s President – Kevin – bought along the car with the most aftermarket customization of any there (dents), and that to me is what it should be all about. The good, the bad and the ugly, because that is what being a car club member is all about. You enjoy your car and the make. It doesn’t matter if it is better than show room; modified to be a racer or a show pony; as it left the factory, or full of dents, rips and peeling paint; is used as a work vehicle forever carting trailers or whatever. It is the fact that it goes, you love it for whatever the purpose you have it for and you participate in the club community. That is what it is all about to me, and this event, in my opinion at least, allows you to enjoy and display that vehicle with all of its shiny bits and blemishes alike (mine certainly has both). I truly hope to see you at the remaining events this month. Remember to get hold of Nick, as he has managed to get accommodation discounts for us.